All of our students wear uniforms. There are seasonal uniforms, gym uniforms, formal uniforms and every day uniforms. Our uniform supplier is Top Marks (www.topmarks.ca). 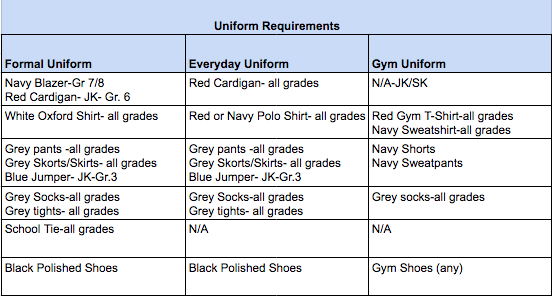 Families enrolled at the school can order their uniforms online or may choose to purchase items at one of our used uniform sales. It began as a debate about personal style. Now, it’s a mission to capture yo‍‍‍urs. Feminine takes on boyfriend cuts for ‍‍‍today’s fashion mavens.